Why? For one thing, because bringing flowers to your ceremony allows you to decorate the space with colour and fragrance without having to add a lot of design elements. 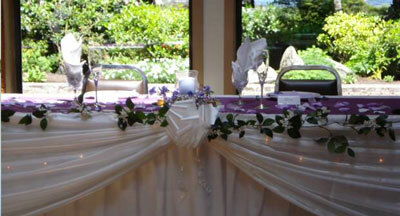 Carefully planned and placed arrangements can easily add your personality and taste to the ceremony location. 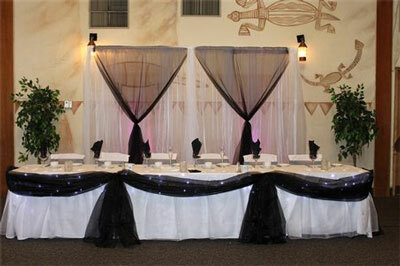 Two or more pedestal arrangements placed in a very focal location are very effective. 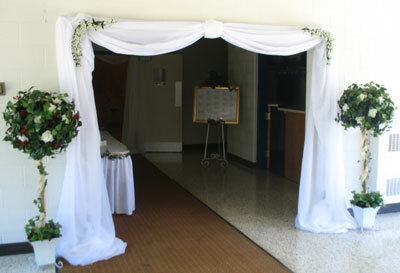 The entrance to the ceremony and the front of the church just before the altar are excellent choices. 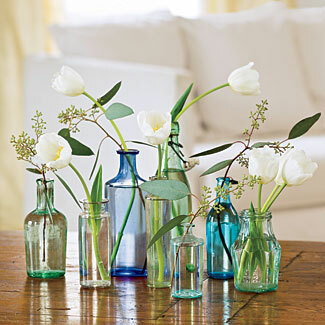 Make use of window ledges and fireplace mantles where you can lay floral arrangements. 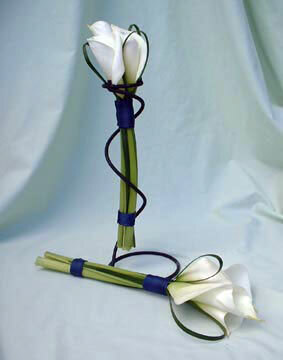 Place a flower or flowers at the end of each pew. 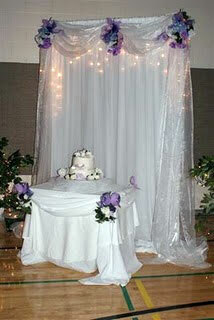 This will look fabulous as they will frame the bride's walk down the aisle. 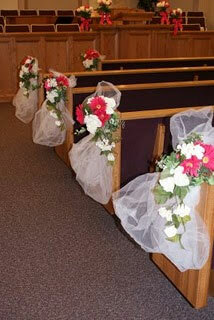 If budget is a concern, put flowers only on the last two pews before the altar. 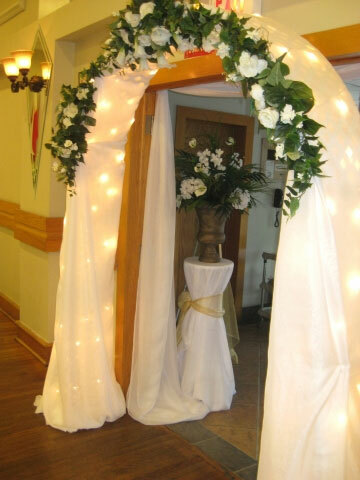 Place a garland over the church door for everyone to see as they arrive. Alternatively, place trees (usually ornamental trees like bay trees or topiaries) at the entrance of the church. 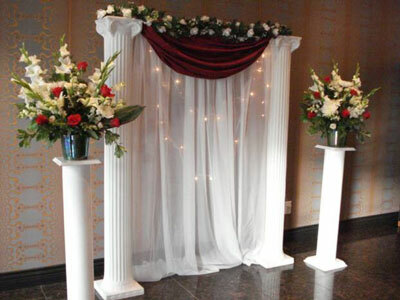 One advantage to using trees instead of garland is that the trees can easily be moved to adorn another location, like the reception. 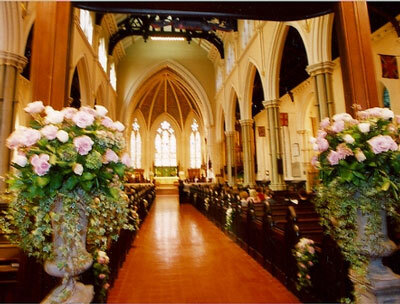 Keep in mind, whether you are decorating a church, a temple or a civil ceremony, that you must first check with the officiant to verify that you are allowed to place flowers and other décor on the doors, altars, pews etc. The ceremony is done. Now, you have to worry about the reception décor. 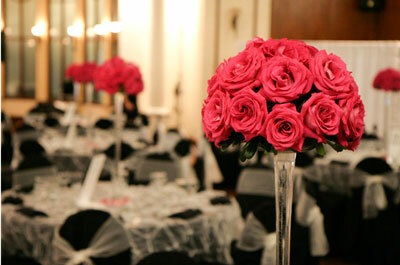 Flowers are an excellent choice for adorning your tables at the reception. 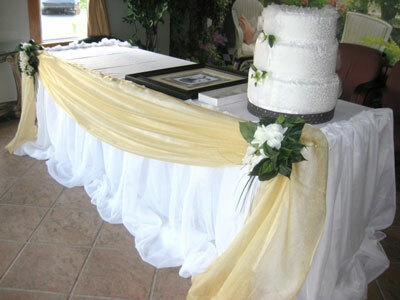 Aside from your guest tables, you should also consider adorning the cake table and head table. 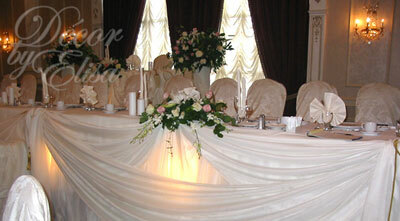 A large, long and low arrangement at the centre of the table in front of the bride and groom is the traditional rule here. However, if you have an exceedingly large wedding party where everyone is seated at a very long table, you may want to consider having three separate arrangements along its length. 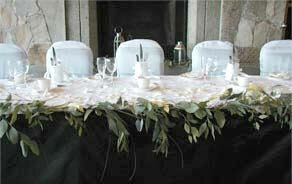 Garland can also be used to adorn the head table in either a straight line on top or arranged in swags along the front. Using flowers for you centerpieces is an excellent way to dress the table according to season, colour theme, and personality. 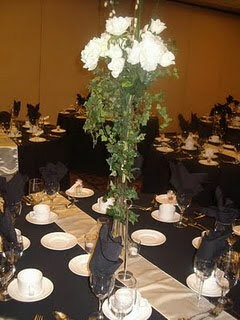 When deciding on floral centerpieces, make sure they do not impede guests from seeing and talking to each other. 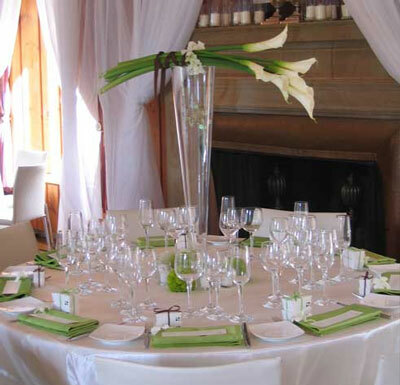 Choose arrangements that are low so that guests can see over top of them or choose a tall thin arrangement where the flowers rest at the top, above the guests' direct view. The cake itself will usually be adorned by the cake meister; however, the cake table does require a little decoration itself. 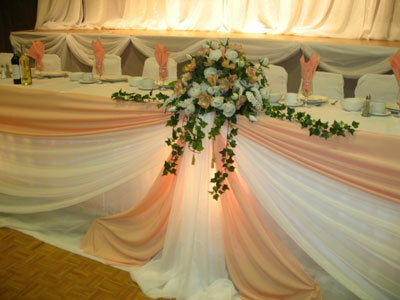 For example, some light swags of fabric with flowers at their gathers are both elegant and understated. A simple and cost effective way to add more flowers to your reception is to bring the pedestal arrangements from the ceremony to the venue and have them placed at very focal locations, like the entrance or on either side of the head table. 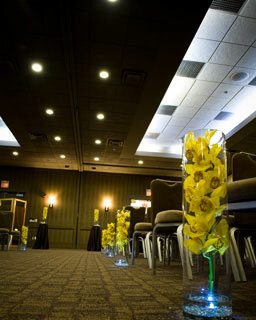 A Wedding Finesse Inc, Calgary. 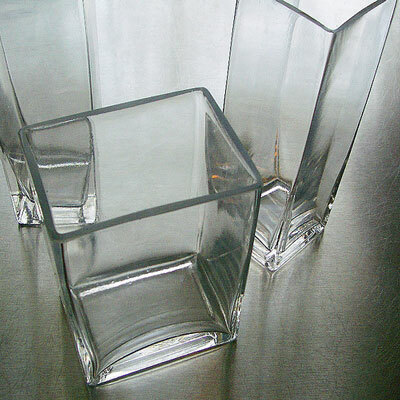 Easy does it: unless you have had formal training, your best bet is to keep your arrangements as simple as possible. Organize: have all your necessary equipment ready to go well in advance of the day. That means decide what type of arrangements you will be making and plan accordingly. 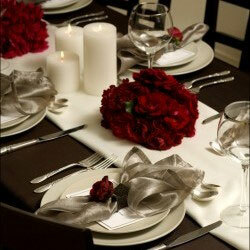 Choose and buy/rent the appropriate vases, plus, find the right distributor for the type of flower you require. 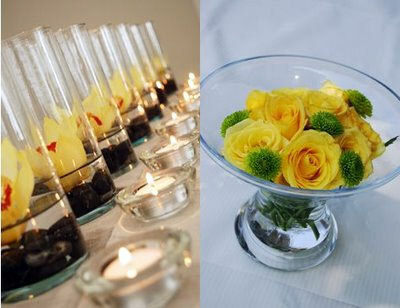 You will also need to plan for the transportation of the flowers to the venue and to the members of the wedding party that will be wearing corsages, boutonnieres and carrying bouquets. 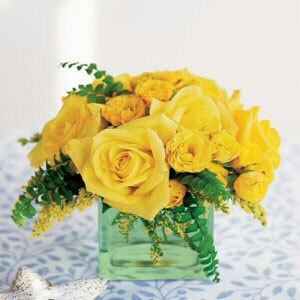 Type of Flower: unless you are experienced in the handling and maintenance of flowers, make sure to choose flowers that last and that are easy to work with. Roses and lilies are excellent choices. 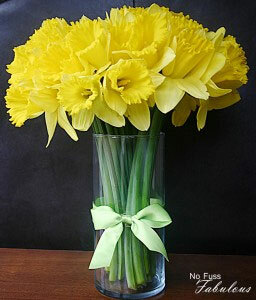 Tip - use greenery to add volume to your creation. 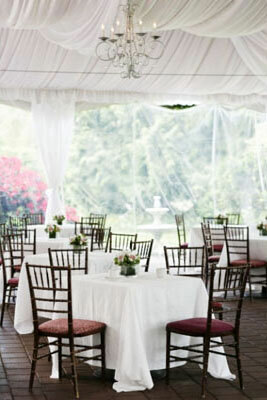 Practice Makes Perfect: don't use your wedding day as the trial run. Do a few practice arrangements well in advance to make sure you know what you are doing and how long it will take you to get the job done. Recruit Help: make sure you have a couple of trustworthy friends or family members to assist you. DIY is an excellent way to save some money on your wedding but it is also an excellent opportunity to completely stress yourself out. Don't try to do it all on your own. 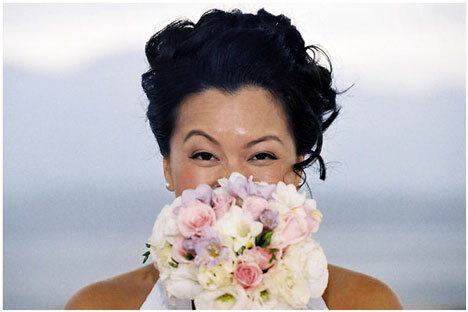 You want to be rested and to look fantastic on your wedding day not fatigued and stressed!